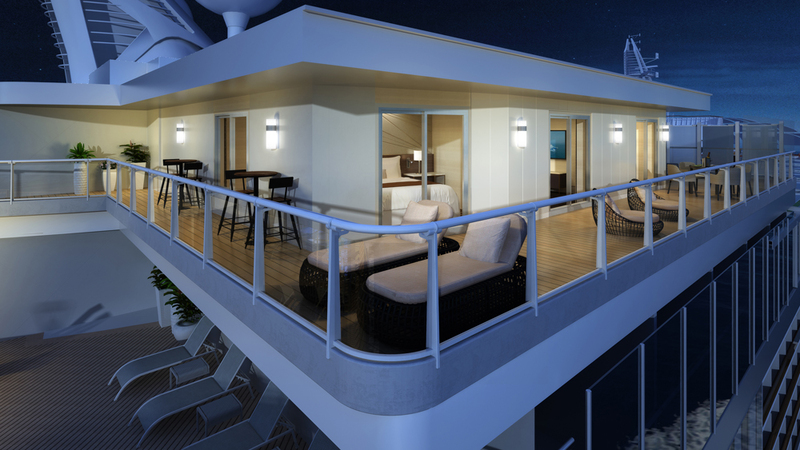 Picture yourself relaxing on the lounge chair of your private 1,000sq.ft balcony, the largest at sea. 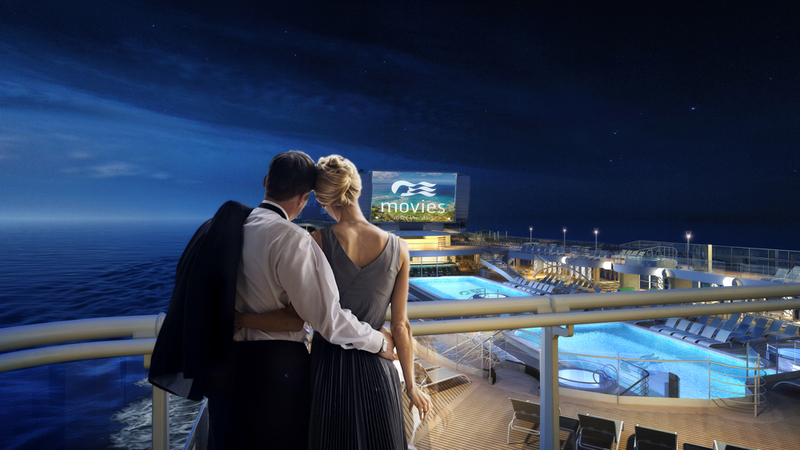 Peer across the unique open-air poolside amphitheatre and enjoying the latest mystery thriller movie. Once the movie is over, have a glance at what’s happening in the sky. Enjoy your own private telescope for a stargazing session before hitting the pillow. Should the air be a little chilly that night, you can enjoy a similar view through the skylight in your dining room. Chin up and eyes wide open, your grandchildren will most certainly appreciate a short bedtime story about your favourite constellation. 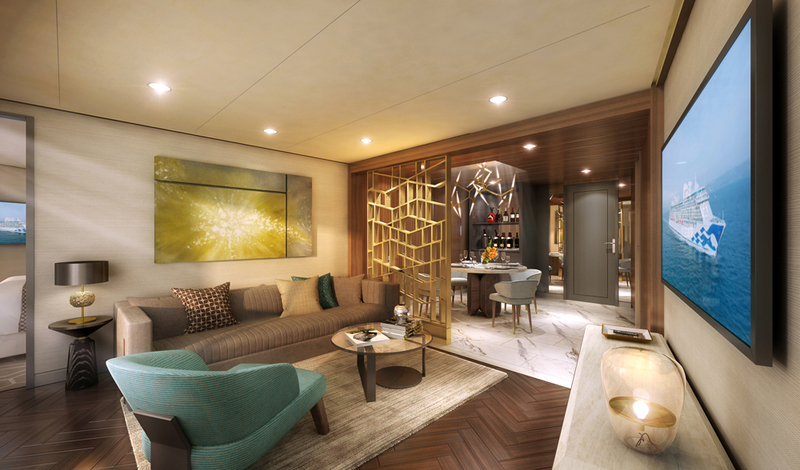 Crowning the height of the ship, your two bedroom and two bathroom Sky Suite has just enough space for your little family to create new memories together in an incomparable setting. 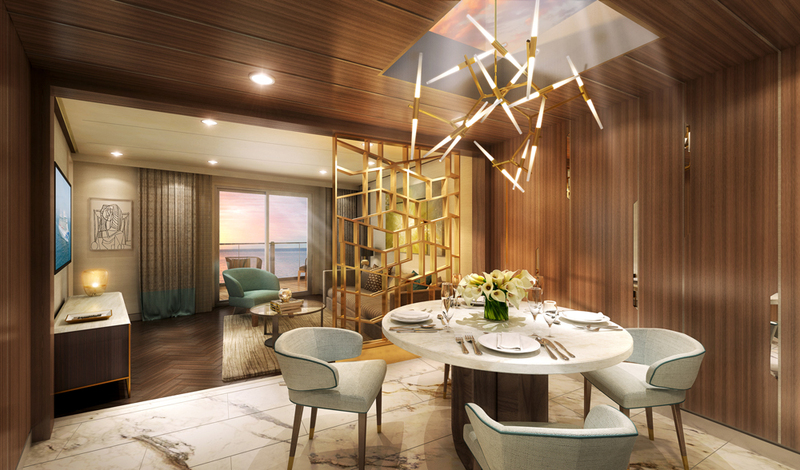 As Sky Suite guests on your next Princess Cruise, you will also be treated to the exclusive services of shore side concierge and a private suite manager to ensure you make the most of your vacation. Delight in the Lotus Spa’s Enclave at no charge and take advantage of reserved seating at Princess Theatre for unforgettable evenings filled with modern and unique Broadway-style shows. If that sounds like your perfect family vacation, make sure you book the divine Sky Suite early enough as there are only two of them available on the ship! Whether you opt for a voyage on the Sky Princess starting in the fall or on the Enchanted Princess debuting in Summer 2020, you will be stunned by your experience. Contact our Cruise Specialists to ensure you are one of the first guests to delight in the luxury and uniqueness of the Sky Suite!